Helsinki Running Tours is designed to allow you to discover some of the most famous sights and nice views in Helsinki, with a guide at your side. We provide tours for all abilities, from novice runners to runners training for endurance events such as marathons. Please ensure that you are in an appropriately paced group according to your running experience and needs. Tours are in English and/or in Finnish. You have to book your run at least 24 hour before the starting time! Otherwise we can't provide that the run actualize. The schedule for our running tours can be seen here. Please notice, that we have scheduled runs only in summer. 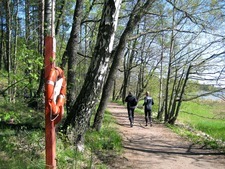 If you are coming to Helsinki and want to explore Helsinki during your daily workout, please contact us. It's possible to organize an extra run for you or some for fixed group! Choose the Best Run for You and Join Us! Meet 15 minutes prior to tour start time. There is no storage for your belongings in the starting place so don't take any extra goods with you. Discover with us Helsinki´s favorite recreation area, the island of Seurasaari and it´s surroundings. Open-air museum Seurasaari is a wooded island with rocks, hills, wetlands and herb-rich forests representing the traditional Finnish way of life is displayed in the cottages, farmsteads and manors of the past four centuries that have been relocated from all around Finland. You will run along the waterside via historical buildings and presidential monuments, including also popular Sibelius monument. 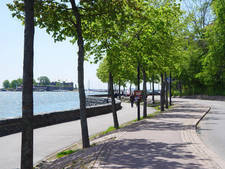 This route is called also a seaside stroll in Helsinki. Helsinki is surrounded by sea and a vast archipelago. On this tour we will guide you through beautiful islands enjoying a slice of Finnish nature and typical suburb life a very short hop away from the city. Jog beside the water also via historical buildings and monuments seeing also Nokia headquarters and memorable views! This route follows very beautiful coastline having main attractions Parliament House, Helsinki's most popular flea market (Hietalahti), several hectares of parks, both on flat ground, and on cliffs (Kaivopuisto), a central market square in Helsinki, view of Helsinki Cathedral, historical buildings close to Esplanadi and a brand new Helsinki Music Centre. Also you will get tips for many outdoor cafés along the route. Helsinki Central Park is bit different from the one in NY for example: here you can enjoy the silence and fresh forest air, in the middle of the town. This route is perfect also for all sports enthusiasts as we will see most of the important sports venues in Helsinki: e.g. sports museum, Olympic Stadium, football and swimming stadiums and fields & places for several different sports, many of them meant both for professionals and recreational use. We will also see picturesque allotment gardens and the winter garden of Helsinki. The prices for our running tours depend on the route and the length, varying between 50 € - 65 €. 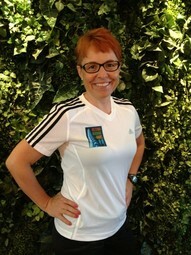 All tours include a Helsinki Running Tours guide. 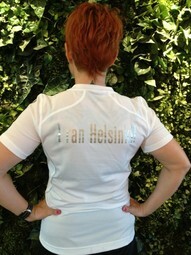 Each runner has the opportunity to purchase an official “I Ran Helsinki” -Helsinki Running Tour T-shirt. The price of the T-shirt is only 15 €. Please notice that you have to order the t-shirt when you do the registration so that the guide can bring you the right size. The booking process of running tours is quick and easy and several different payment methods are accepted. You can pay directly to the guide by card (bank or credit card) or by cash. If you’ll pay by cash, please take exact change with you. Please, be at the starting point 15 minutes prior to tour start time. Check the weather forecast before the run and wear suitable running clothes. Remember, that it might be windy in Helsinki. Take your own water/sport drink with you, if needed (especially in longer runs). Notice, that there is no storage for your belongings in the starting place so don't take any extra goods with you. If you are going to pay by cash, please take exact change with you and be in the starting point in time (or take your credit card with you if you pay by card).